The bottle of July is not very summery, but it has been on my wishlist forever and a day, and when I recently visited the Chanel boutique in Vienna I finally picked it up and I’m very glad I did. This summer has had its share of cooler days, so I was able to wear it quite often and it is simply elegant and gorgeous. Tara’s beautiful review does Bois des Iles absolute justice. Do you want to indulge in a bit of golden sandalwood? I am giving away a 5ml decant of Bois des Iles EdT. Please leave a comment on this post stating which is your favorite of the Les Exclusifs and why. Tweeting and sharing on a social media platform of your choice garners you an additional entry. The contest is open worldwide until August 3 midnight GMT and I will announce the winner on August 4 on the blog. This entry was posted in Fragrance Reviews and tagged Bottle of the Month, Chanel, Giveaway. Bookmark the permalink. 100 Responses to Bottle Of The Month: July – And A Giveaway! My favorite Les Exclusifs de Chanel is Cuir de Russie, I adore leather fragrances and this buttery, floral leather is near perfect for me. Hopefully it is! Good luck, Portia! If I have to chose just one, I’ll go with Beige – because Rusty also likes it. FB – check! Twitter – check! Thanks for sharing the post, Undina! No need to include me in the draw, I own BdI and am saving for a bottle of Cuir de Russie EdT to go with my extrait (which happens to be my favorite ;-)). Another Cuir de Russie fan – it is so very elegant after all! Bel Respiro is great for summer, cool and refined. Coromandel for sure! I finally broke down and bought a bottle after god-knows-how-many samples. For me, full bottles of perfume have to be true love–I won’t buy anything I’m just “smitten” with ;). That is a good principle. Coromandel is surely worth a FB, I love it in winter. 31 Rue Cambon is my number one,with BdI as a close second,but I don’t know Bel Respiro yet!No need to include me in the draw,a wonderful MUA swapper sent me a bottle! 31RC is my top favorite from the Les Exclusifs, it was my first bottle of the line. You sure are! Good luck! 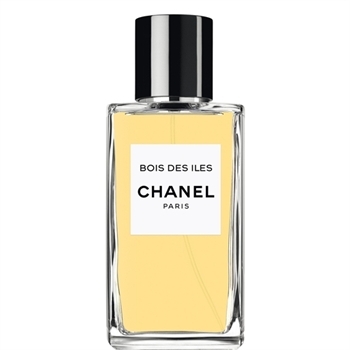 My favorite is Chanel Jersey because it is so easy to wear.On me it is a soft but long lasting sweet musk that is never overpowering and just makes me happy.I also like Beige because of the sweetness and quality. Love your thoughts on fragrances.Thank you for the giveaway! Oh my goodness B, I had no idea this would be your Bottle of Month for July! I’m so pleased. Good luck to everyone entering the wonderful Giveaway! My favorite so far is Bois et Iles, but I have only tried 31 Rue Cambon, Cuir de Russie, Sycomore and then BdI. My husband loves it to, judging by the way he is sniffing my neck when I’m wearing it. I would love to win a decant because I have only one more sample left 😉 Thanks for the giveaway! Sharing on Twitter and Facebook of course. As a leather lover, it has to be Cuir de Russie. So rich, so warming…like a caress. Cuir de Russie is the most mentioned Les Exclusif so far today. Sandalwood? :O *claps hands* And I was just starting to figure out that I love sandalwood (thanks to SL). Unfortunately, I do not know any of the exclusifs (shame on me! ), but will get there soon. They are on my wishlist at PerfumedCourt. Bois des Iles is magnificent. Please enter me into the draw. I hope you get lucky then and celebrate a belated birthday smelling fabulous with Bois des Iles! Cuir de Russie is such a soft caress of beauty. Thanks again for all your generosity with your readers. You are always the best. You are too kind, dremybluz! Glad to hear you are a Cuir de Russie fan as well. I would love to try Bois des Iles, sandalwood is a favorite. I absolutely find a similiarity between those two. So much so, that I think I don’t need a bottle of Enlévement, since I already own 31 RC. Good luck in the draw, Eva! No18 is a very interesting and widely underappreciated perfume, glad to hear it is among your favorites, Philipp. To me N.18 is like champagne (golden, bubbly, metallic) and a haute joiallerie necklace (golden, smooth, metallic) (quoting my fragrantica review). I have a tiny decant which I (sparingly) use whenever I have one of those dress to impress days. My review of 18 will be up soon. Oh, I’m the only one for No. 22? Ok! I’m going to give that Exclusif some bloggy love: I vote for No. 22! My favorite Les Exclusif is No. 22. Divine! hi, great giveaway! my first decant from the range was Cuir de Russie, i adore leather notes, but this one was too old-fashion for me. WIth the next, Jersey, i was in love for two months – and then i became just too tired of the scent. Chanel has very intestive fragrances, sometimes too much. I would love to test this one, as yo udescribed it to be a little cool. Good luck to you, Radmila! I haven’t tried any of them! Bois des Iles does sound particularly lovely. My favorite is Cuir de Russie. want to try Bois de Iles. Cuir de Russie is proving to be most favorite today! I love Coromandel, but I’m sure I would love this one too! I’d love the opportunity to learn. I’d love to give you that opportunity, Judy! Some are very fleeting indeed. I’d love a bottle of 28 La Pausa, but can’t justify it, since it is gone in an hour. Bois des Iles (and Coromandel, 31RC and 22 too) are much longer lasting though. To be honest, I have never tried any of them, but would love to one. I hope I can syill be in the draw for the perfume. Thank you. I haven’t tried any of the scents yet. Unfortunately there is no Chanel boutique in the neighboorhoud where I live. Bois des Iles sounds great, I would love to try it. The Exclusifs can be hard to come by…good luck, Els! Oh fun! I’m a newbie, so I’ve only sniffed Chanel exclusives on paper, not on skin (I wandered in after I already sprayed both wrists!) but I fell hard for Chanel 18 that day. The next day, however, I couldn’t stop sniffing 31 rue cambon. It’s how I discovered that I actually like patchouli! Haven’t tried bois de isles. p.s. I love this blog. I’m a new reader but i gather you’ve had some ups and downs this year. I’m a huge fan and I’m glad you kept blogging! 31 RC is my favorite too. 31 RC followed closely by Coromandel. This one sounds divine..Sharing on twitter.. Thanks for a beautiful blog and a great draw! Bel Respiro is wonderful in summer! Thank you for reading and commenting, best of luck in the draw! I have to say Sycomore is my favorite. It brings me back to my years in San Francisco and enjoying cold rainy winter walks late at night. Recently, I shared my decant with my sister who really enjoyed it, too; and bought a bottle for her birthday. Sycomore is so reliable and has an utterly no-nonsense cool-headedness. I love it for that. I am a Chanel girl since the 80’s, when I wore Coco and Chanel #5. Of the exclusives, I have tried Bois des Iles and loved it, also #22, which was pretty, but did not last on me for very long. I love Eau Premier and #19 Poudre…went through a whole bottle of it since November. I would love to win this draw, as my sample of Bois des Iles is almost empty. Thanks for the generous draw. Best of luck then, Maureen. Cuir de Russie – it’s elegant! I don’t have a favorite since I’m a man and don’t wear Chanel, but my girlfriend has been hinting that she’d like some new perfume… so I’m hoping to win this giveaway. Thank you! I really enjoy the Les Exclusif line so this is difficult. I think Coromandel is top of my list then 31RC followed by Beige. Great top three! Good luck to you! I love Beige in the summer because it is so easy to wear. I enjoy Coromondel in the cooler weather and of the two I would have to pick Coromondel as my first choice. I plan on purchasing a full bottle of Coromondel this fall. Gratuliere! Blöde Tage sind wenigstens eine tolle Ausrede sich ein neues Parfum zu leisten! Ich hoffe es geht Dir besser. My absolute favorite is Coromandel. One of the most perfect patches available on the market! You are very welcome, Joey! Good luck! Although I have not sampled many of Les Exclusifs, I love Bois des Iles–I’m a fool for those dark woody notes! A beautiful wedding scent! Have a great day and my best wishes for your life together. Had you asked me my favourite last winter I would have said Coromandel, I love the neroli in the opening and the animalic insence and woods in the dry down. But right now my favourite is Gardenia, wich to me smells more of tuberose. I love it for warm humid summer evenings when it really blooms on my skin. It is great to have one for summer, one for winter. Good luck in the draw, Elsa!